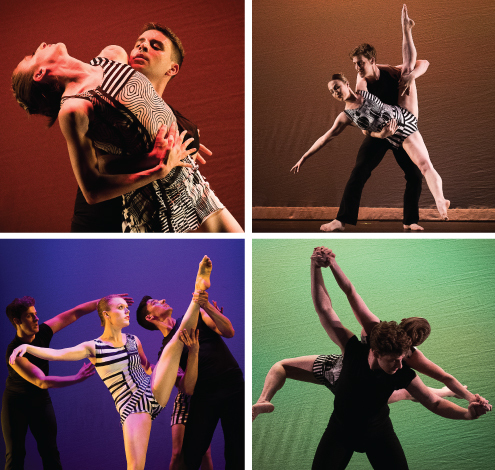 FOOTPRINTS is a week-long dance festival that celebrates the work of emerging and established modern choreographers on the stage of the Marjorie S. Deane Little Theater at the West Side YMCA. This annual festival, now in its 4th year, curated by Amanda Selwyn, showcased innovative works of contemporary dance with a strong theatrical aesthetic. This year’s festival featured choreographers: Ashley McQueen (Smashworks), Adam Dickerson (Fuju Dance), Cassandra Richards, Douglass Dunn, Tina Croll, Lindsay Miller, Ashley Carter & Vaness Martinez de Banos (Double Take Dance), and Amanda Selwyn (Amanda Selwyn Dance Theatre). Crossroads is a new work in development by Amanda Selwyn Dance Theatre scheduled to premiere in June 2019. The piece explores forging into unchartered waters and that tumultuous process of self-discovery. Inspired by the work of Margritte and Escher, Selwyn will collaborate with scenic & costume designer, Anna-Alisa Belous to shape a surrealistic landscape that highlights these lingering moments at the crossroads, choosing one path or another, and how these moments steer the course of our lives.